The biggest art collection in South London. 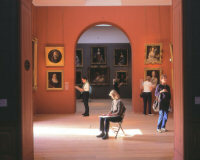 Description: The Dulwich Picture Gallery is one of South London's biggest art attractions. 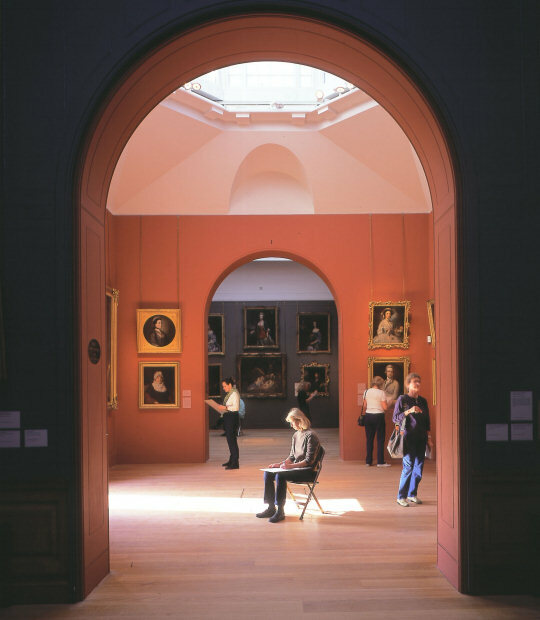 It was built by Sir John Soane as the world's first purpose-built art gallery (the Foundling Hospital, which contained a permanent art exhibition, being primarily for another purpose) and opened in 1817. The original collection was based on the personal collections of Sir Francis Bourgeois (1753-1811), originally from Switzerland, and his business partner, Frenchman Nol Desenfans. Bourgeois and Desenfans, along with Desenfans' wife, who funded part of their work, are buried in a mausoleum that forms one wing of the museum. The mausoleum took a direct hit from a German bomb during World War II and, apparently, their bones were scattered across the lawn in front of the gallery. The three sarcophagi in the mausoleum now once again contain approximately a skeleton each, but nobody was quite sure which bones were whose.